Once again, Apples to Apples and Bananagrams topped TDmonthly's Top-10 Most-Wanted Games List, (see 2010 and 2009) with offerings from Blue Orange right behind. Yes, Slamwich still makes the menu, too, suggesting that players have more on their mind than rolling dice. Apples to Apples by MATTEL INC.
Apples to Apples is a wild, award-winning card and party game that provides instant fun for four to 10 players. It’s as easy as "comparing apples to apples" ... players need only open the box and deal the cards to be ready to play. They then select the card from their hands that they think is best described by a card played by the judge. If the judge picks their card, they win that round. Everyone gets a chance to be the judge. Each round is filled with surprising and outrageous comparisons from a wide range of people, places, things and events. Fast moving and refreshing, Apples to Apples is perfect for any get-together with family and friends. — Gwen Bowden, manager of Doodlehopper 4 Kids in Springfield, Va., told TDmonthly that she expected Apples to Apples to sell well during Christmas 2006. 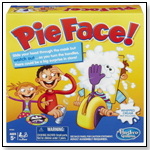 ― In early 2009, retailers reported sales of up to 40 per month of the Apples to Apples game. ― “We probably sell 25 a month,” Mike DiAndrea, manager of Hardware Center in Paoli, Penn., told TDmonthly in early 2011. In this challenging game, players roll two dice, add the dots and find the best combination of numbers to shut two rows of nine tiles. Players cannot touch tiles in the second row unless the tile in front of it has already been shut. The goal of the game is to shut all the tiles and close the super box. Awards: TDmonthly Top Toy 2009. Launch date: February 2008. Europe´s 2002 game of the year, Blokus is a strategy game for the family. It's similar to the ancient Go Game — the board is a grid and players use their pieces to try to control as much territory as possible. The game pieces are in four, 21-piece sets of varying shapes. Each player chooses a color and works on expanding his territory on the board while blocking others from doing the same. Each new piece laid down must touch at least one other piece of the same color, but can only touch at corners, not along edges. The game ends when all players have been blocked from laying down more pieces. Points are deducted for pieces not played, and the player with the highest score at the end, wins. Blokus comes with a game board with 400 squares, 84 game pieces (red, green, blue and yellow), and instructions. — In spring 2007, Sally Lesser, owner of Massachusetts’ Henry Bear’s Park, called Blokus a “consistent best-seller” at her three stores. It's also tops at Juggles in Wakefield, R.I., and Kazoodles in Vancouver, Wash. Six of 63 retailers named Blokus as their overall best seller in September 2008. Three of 52 retailers named Blokus as one of their overall top sellers in November 2008. Blokus is no longer distributed by Educational Insights as of 12/4/08. ― “No. 1 is Blokus,” Linda Hanzelko, owner of Timmy's Toy Chest in Lake Mary, Fla., told TDmonthly when asked about best-selling games in early 2009. “It's an easy sell. It's one that people come back later and say 'You were right. '” In late 2009, Lori Hershman, owner of Evan's Toy Shoppe in Hamden, Ct., estimated sales of about 34 units monthly. Six of 38 retailers called it a best-selling game in Feb. 2010, selling from three to 150 units per month. Kids flip and stack this clever loaf of cards to build slamwiches and double deckers. Tomato, lettuce, tomato ... slap! The player who gets there first will win the pile. But he’ll have to catch the thief and stop the muncher from stealing a stack of cards. When he’s out of cards, he’s out of the game. The first player to collect all the cards wins. Slamwich teaches reading readiness skills, such as visual discrimination and sequencing. While kids are flipping and stacking cards, they're actually learning how to recognize a series, make combinations, and anticipate what might happen. "Slamwich includes bread-shaped, die-cut cards. It's a fast-playing card game. 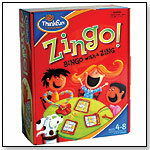 It's also Gamewright's first card game," said Jason Schneider, product development and marketing manager for Gamewright. — Rosie Morris, manager of Whiz Kid Toys in San Luis Obispo, Calif., told TDmonthly to watch out for Gamewright, naming Slamwich as one of their hottest 2006 sales items. — "We have a lot of card games from Gamewright. One of the better ones is Slamwich," Shirley Reilly, owner of Let's Play in Hillsboro, Ore., told TDmonthly. In an August 2008 survey of 64 retailers, storeowners reported average sales of about a dozen per month. Six named Slamwich as a best-selling card game. — In August 2010, five of 43 retailers surveyed cited Slamwich as a best-selling card game. 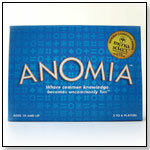 This addictive, fast-paced dice game is now available in a blue tin box. 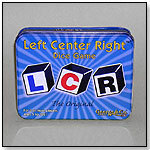 This edition includes three specially marked LCR® cubes. The game itself retains its original simplicity where the roll of the dice determines which players to the left, right or center get the chips; the winner being the player with the chips at the end. Simple, fun and even educational for growing minds. L-C-R also comes with 24 playing chips and game instructions. The game is designed for three or more players. •Where is the video game market headed?